This is PATCH mod. It makes Eli's Armour Compendium (1.5) and More Outfit Variations (1.6) mods compatible to each other. 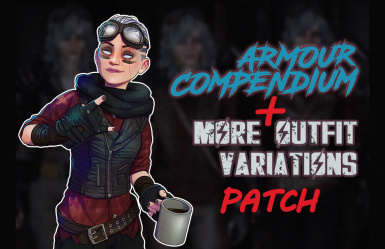 This mod makes Eli's Armour Compendium and More Outfit Variations mods compatible to each other. I like Eli's armor and clothing mods, so I made this patch to be able use it with my own clothing mod, considering they both made changes in leveled lists. Now they compatible. Enjoy the game!